This is my entry for the Center Parcs and Tots100 May challenge. 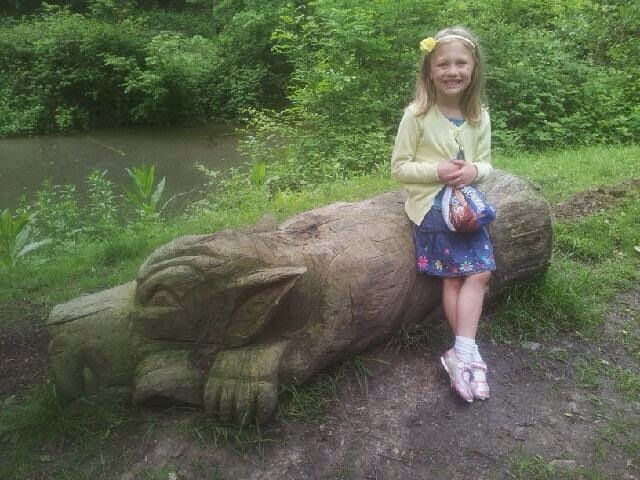 If I’m chosen, I would like to visit Elveden Forest. I love Center Parcs, I really do. I've been most years from the age of 3 years. I learnt to ride a bike there, the amount of times my sister fell into the ditch... well I lost count, and as we are all older now and have kids of our own, it's been great see them there too. So when I saw this challenge going on at Tots100 I had to enter. All I have to do is go out on an adventure and we often go for walks to the forest behind our house or another one where we see and feed the deer. We go at least every weekend. As it's been hot this month we have made the most of it and have had quite a few walks so I thought I would put them altogether into a bit of a photo mess. First up is one of our days out to the airshow and we stopped to have our picnic. I love this kind of photo as it's just a natural shoot of Little Miss P with the plane in the background. This was taken three days ago when Mr P and Little Miss P went out for a walk as I was stuck at home with a stinking cold, and they came across this. It's a kind of monster... it's amazing what you find when you're not even looking for it. Here we went for a little walk to our country park, about a 40 min walk from our house, and they have a little free farm you can go to. It doesn't have many farm friends but is a great little place. 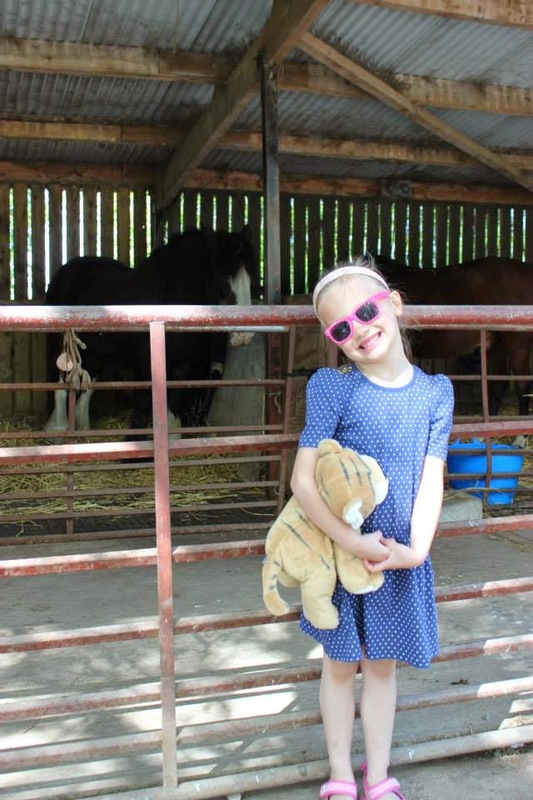 Little Miss P asked for this photo with the horse in the background. 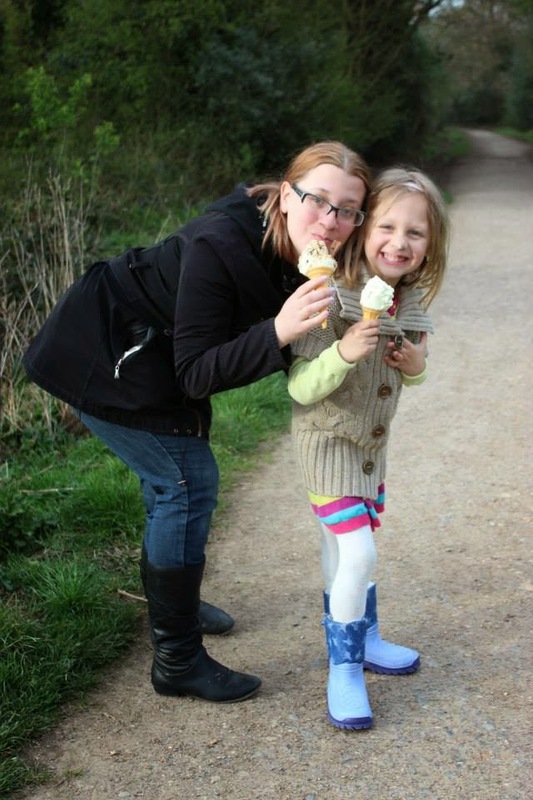 Here is Little Miss P and me enjoying our ice creams, having a walk around the lake in Epping. When it gets a bit colder we still make it out on our little adventures and even find new places to walk, like this one with some ruins to look at. The selfie of all three of us! I will let you put your own saying with the photo, lol! This was taken a few months back but I love it as we were on top of rocks in Devon. I can't find the original photo of it so I have taken a photo of the photo, hehe.